Cholelithiasis is the presence of gallstones in the gallbladder. Gallbladder pain (“biliary colic”) is pain caused by a stone temporarily obstructing the cystic duct during a gallbladder contraction. Gallbladder disease is one of the most common gastrointestinal disorders in adults in the United States. In the United States, about 10-20% of adults have gallstones. Every year 1-3% of people develop gallstones and about 1-3% of people have symptoms. Gallstones in children are much less common. Most young children with gallstones have an associated disease of the red blood cells or have been on TPN (intravenous nutrition). Risk factors for gallstones during adolescence include family history, estrogen exposure including pregnancy, obesity, high-fat diet, and hypertriglyceridemia. These are also strongly associated with the formation of gallstones in adults. Additional risk factors include decreased oral intake (often due to illness) and rapid weight loss. Gallstones are most common in fair-skinned people of northern European descent, Hispanic populations, and Native American populations. Gallstones are least common in Asians and African Americans. African Americans with sickle cell disease have gallstones early in life secondary to associated hemolysis (destruction of red blood cells). 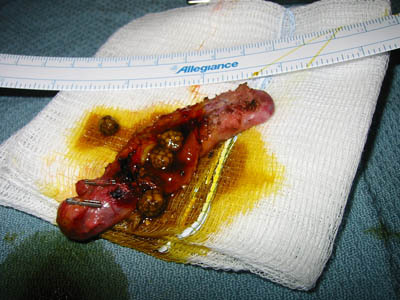 Gallstones are rock-hard collections of material that form inside the gallbladder. The gallstones are named for their primary composition. Cholesterol stones are most common (approximately 80%) followed by pigmented stones, and finally mixed stones. Stone formation is generally attributed to an imbalance in the composition of bile, particularly lecithin. When bile becomes supersaturated with cholesterol, it crystallizes. This forms a nidus for cholesterol stone formation. Recently impaired gallbladder motility and bile stasis have been implicated in the formation of gallstones. Pigment stones (15% of gallstones) are formed by the crystallization of calcium bilirubinate. Diseases such as hereditary spherocytosis associated with increased destruction of red blood cells (called hemolysis) put patients at risk for formation of pigment stones. These pigment stones are black stones in color. Finding pigment stones in a patient undergoing cholecystectomy should prompt a consideration for a hemolytic workup. Brown stones are associated with infection in the gallbladder and commonly are found in people of Asian descent. Episodic pain in the right upper quadrant that radiates to the right shoulder or back, especially the scapula. The pain may awaken the patient from sleep. It begins after eating (usually within an hour) and may last several hours. The pain is described as severe and dull and typically subsides either after vomiting, or over several hours duration. Associated symptoms may include nausea, vomiting, and sweating. Pain may be relieved by vomiting, flatus, or bowel movement. It is often associated with fatty foods. Standard liver results are normal in the asymptomatic patient and patients with uncomplicated biliary colic. Elevated direct bilirubin (direct hyperbilirubinemia) indicates a blockage of the common bile duct or hepatic ducts. Elevated transaminases indicate a hepatic process within the liver. This may be secondary to a bile duct problem, but extremely elevated transaminases suggest the primary problem is in the liver itself. An elevated lipase suggests associated pancreatitis, the most common cause of which in the pediatric population is gallstones. Ultrasound – The first test in suspected cholelithiasis (gallstones) is abdominal ultrasound (sonography). CT scanning often fails to identify gallstones. Cholesterol and pigment stones are visible on radiographs in only 10-30% of instances. 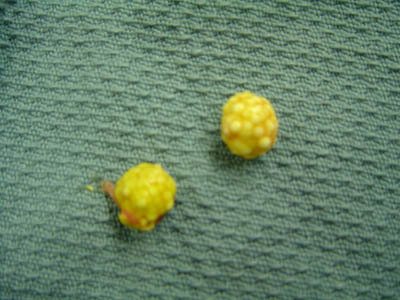 It is highly sensitive and specific for gallstones greater than 2 mm. Biliary scintigraphy – Currently, the HIDA scan is used for assessing gallbladder function. A Radioactive tracer is injected into the vein. The liver concentrates the tracer and then excretes it as bile. The gallbladder should fill. A medication called CCK can be given to make the gallbladder contract. The percentage of bile ejected from the gallbladder can give an assessment of gallbladder function. 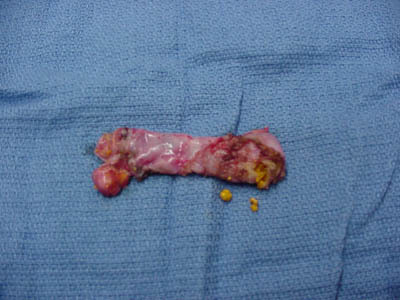 Failure of the gallbladder to fill suggests obstruction of the cystic duct. Failure of the gallbladder to eject suggests biliary dyskinesia. Pain the injection of the CCK suggests the patient will have symptom relief after removal of the gallbladder. In patients with known hemolytic anemia such as hereditary spherocytosis, pyruvate kinase deficiency, or sickle cell anemia, the patients should be screened for concurrent gallstones if removal of the spleen is planned as part of their treatment. The gallbladder can be removed during the same procedure. Bleeding, Infection, damage to the bile ducts, damage to the liver, retained gallstones, bile leakage, pancreatitis, damage to intraabdominal structures such as bowel or bladder. Acalculous cholecystitis – acute cholecystitis without stones. This is seen almost exclusively in patients with concurrent illness such as bone marrow transplant, cancer, major trauma or prolonged need for intensive care. Ascending Cholangitis – Inflammation in the biliary tract due to obstruction of the distal biliary ducts. Bacteria are the usual cause of the inflammation and ascending infection. Cholecystitis – Inflammation of the gallbladder, often from obstruction of the cystic duct. In acute cholecystitis, ultrasound usually shows gallbladder wall thickening (>5 mm), pericholecystic fluid, gallbladder distention (>5 cm), and a sonographic Murphy sign. Choledocholithiasis – A stone in the common bile duct. Charcot’s triad – The combination of jaundice, fever (with rigors) and right upper quadrant abdominal pain which develop as a result of ascending cholangitis. Gallbladder sludge – Crystallization within bile without stone formation. Sludge may or may not be a factor in the formation of stones. Its presence in not an indication for surgery, but may suggest a further workup with hepatobiliary scanning to identify gallbladder dysfunction. Murphy’s sign – Inspiratory arrest on deep palpation of the right upper quadrant during deep inspiration. This is suggestive of cholecystitis.